Posted 07-12-2017 by Esther Ciammachilli. Marian McKay, owner of Charlemagne Records. The entrance to Charlemagne Records is through a tiny doorway on 11th Avenue South in Birmingham. If you weren’t looking for it, you’d miss it. Inside is a maze of record and CD bins that stretches across the creaky floors. There’s even a small box of used tapes for sale to satisfy the die-hards. They also have an old-school Coke machine that still works, but don’t expect old-school prices. 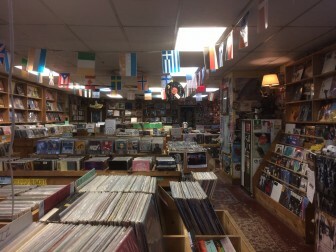 A view of Charlemagne Records’ collection. Guarding that corner of Paris is a bronze statue of the emperor Charlemagne. McKay came home to Birmingham and started her own music store. 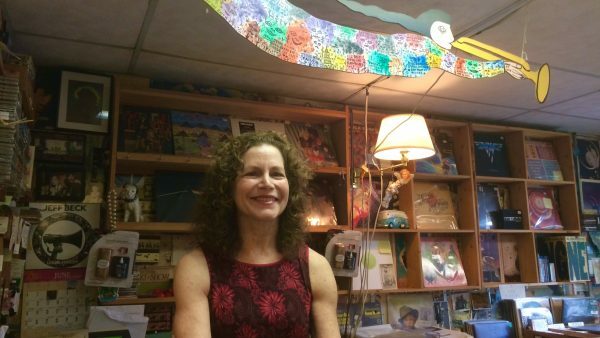 With $500, a few peach crates full of records and a little help from her friends, McKay opened Charlemagne Records in 1977. Forty years later, Charlemagne’s walls are lined with new and used vinyl from floor to ceiling. Every corner of the shop whispers with memories: patrons who became friends, that time McKay helped a customer who would later become her husband, and celebrity visits. “Stevie Ray Vaughn, Carlos Santana, Tom Waits, Robert Cray, Gene Simmons from Kiss,” says McKay. Through the death and eventual renaissance of vinyl, to the rise of digital music, and even through economic downturns, McKay has kept Charlemagne Records afloat. She says it’s taken determination and great customer service. 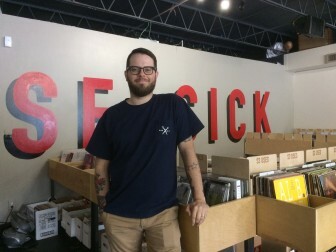 Daniel Drinkard, owner of Seasick Records in Crestwood agrees and says it’s also the unyielding support of Birmingham residents. Daniel Drinkard, owner of Seasick Records in Crestwood. “I think Birmingham in general, outside of just the music scene, is really great at supporting local businesses,” Drinkard says. The warm, scratchy sound a record makes when the needle drops is something you don’t get with digital music. Drinkard says it’s nostalgic and foretelling at the same time. A lot of their customers were born in the 1990s and raised in a world almost devoid of vinyl. He says he hopes that generation will pass the torch so that, like Charlemagne Records, Seasick can also be around for 40-plus years. 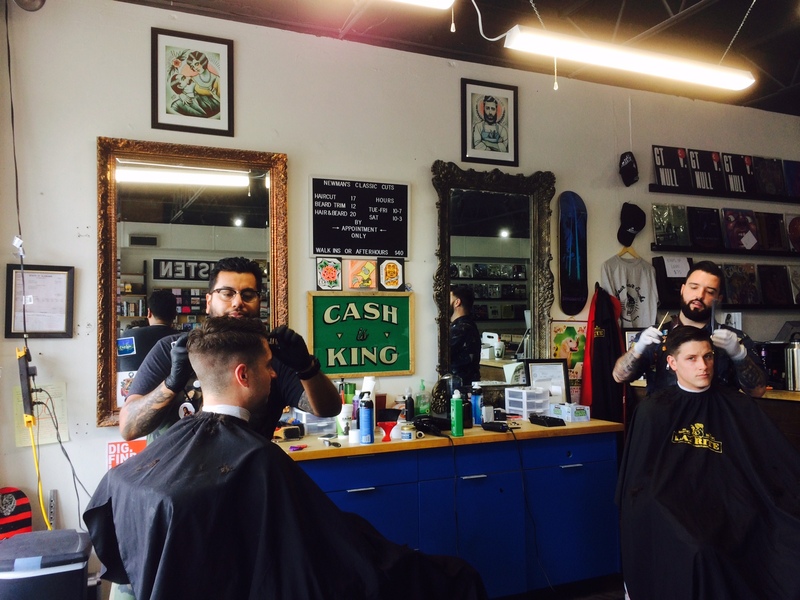 Barbers A.P. Swayze (l) and Newman Evans doing their thing.